We appreciate having our boys excitedly attend Religious Education classes where they are hearing the same messages that they hear at home, but from other voices. Every Sunday I am excited to come to service. It renews my spirit again and again. What remains constant is the critical need for a liberal religious viewpoint for the NH seacoast. 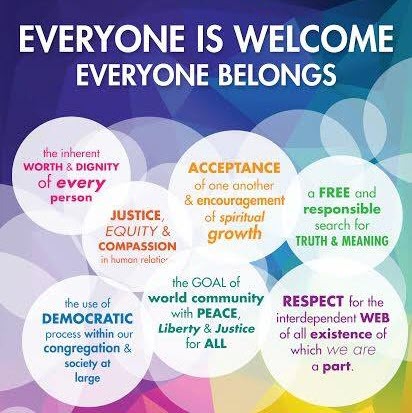 We most value this community’s openness to accept many faith beliefs and the intellectual discussions around these different points of view. I’m so grateful for Kendra’s wisdom and spiritual guidance and for the way this congregation supports and nurtures each other. There’s a joy that permeates the air on a Sunday morning at FUUSE. The one constant that is so meaningful to me is the deep sense of connection I feel to my FUUSE brothers and sisters who knit prayer shawls, play their instruments, shovel snow and cut the grass, make coffee for us each Sunday, stand at Town Hall with placards, write letters to the editors, march on Washington, NYC, Boston, organize Thanksgiving baskets, coordinate Secret Santa for Seniors, each month generously contribute to a Give it Away cause. It’s the FUUSE brothers and sisters who work hard to make the world a better, greener, and more just place to live. From Religious Education to choir, to lighting candles, to thoughtful and thought provoking sermons, to knitting ministry, to retreat and small group ministry, it’s been and continues to be a deeply meaningful part of my life. What will give me that sense of strength, safety and security so that I can recommit to engaging in the world? Like a stand of trees with deep roots – when we stand together in this community, our roots intertwine and feed each other. We hold each other up in the stormy times and offer protection under our branches. This community grounds me, makes me feel the sense of belonging that gives me courage to face the uncertain future. We started to attend FUUSE in November, 2016, like many others, after a very disheartening election. It was a time when we were searching for a group of people to heal with, to plan with and to fight with, and we found all three at FUUSE. 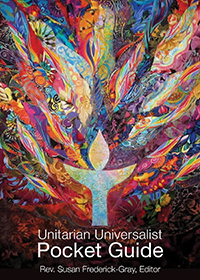 Definitions of the sacred in Unitarian Universalist churches are attracting ever larger and ever more grateful and reverent congregations every Sunday.